THAT'S another round of internationals over and there was little damage done as I kept stakes low. Last night's treble need another goal at Belgium v Holland and after getting lucky with Brazil and France to score two or more I admit to cashing out at around 2-1 when Antoine Griezmann netted his second. It's not something I could advise and because I was watching Ireland v Wales in the pub I couldn't tell if another goal was likely in Belgium. Over the last three days I've had three bets and not counting last night's cash out made a 1pt profit and I'm happy enough with that on games I don't like betting on. I've got a few things to sort out on Wednesday and it's a poor card anyway so likely to be a no-bet day for me. There are a few CONCACAF internationals and minor matches in Spain and Italy so we may see some tips on the site. Also the latest round of the women's Champions League and looking at games there is a big favourite in each tie so overs would probably be the way to go. Matches include Barcelona (1-11) v Glasgow, Ajax v Lyon (1-33), Zurich v Bayern (1-20) and Chelsea (1-5) v Fiorentina. If those were prices in men's games you'd consider an over 3.5 goals fourfold. Well done to all the winners last night including HullShaker with his Bury v Leicester U21s tips – my focus is now on Saturday and there will be a Super Single shortlist up tonight. Not much doing today but….noticed Serbian Cup,Wheres the value? Cheers Lockhart – good luck today! mr h. Do you perm your bets. ? Unlucky there Mr H .. Does paddys do acca insurance online? Ns cheers, tho I haven’t been in a bookies in a long time tbh.. The Bolivian B is a brutal division and whilst it may not be the most commonly visited league, it has certainly thrown up some big scorelines for me in the past. This one features two sides going head to head just 3 days after an 11 goal ding-dong which saw Torre run out 3-8 winners in the early hours of Sunday morning…some scoreline and that was away from home! It’s not a solitary big scoreline for the hosts who have match goal totals of 11-2-0-4-6-6 across their last 6 consecutive games and Kivon themselves have hardly been shy with their own last 9 reading 11-2-3-7-5-1-4-3-5 match goals within the last month. Merthyr Town’s two red cards let me down last night but again, at a third stake, the damage was minimal. Wasn’t around again in the evening, but did notice Hull’s winner at Bury – and I’m sure there were plenty more! In relative agreement with @mr-h and my attention is also on Serie C Group A after it served me well on Sunday. Slight different approach from me, though. My main fancy on the weekend was Albissola and I mentioned a lot about their home form this season when compared to their travels. They can’t seem to keep clean sheets, but they do seem to be better at finding the net at home. Their promotion to Serie C depended a lot on their home form last season, too. A late penalty meant they drew 1-1 with Piacenza on Sunday, ensuring that BTTS had landed in all 4 home ties this season. However, I’m even more encouraged that goals may flow tonight as they welcome Pistoiese. These two sit bottom and second bottom, finding points very difficult to come by. Yet 5 of Pistoiese’s 6 domestic games this season have seen BTTS and Overs land, with Sunday’s 2-0 defeat to goal-shy Pisa the only exception to the pattern. Pisa had only managed 1 goal in 4 games before Sunday, but had only conceded 3, too. I really fancy both sides to net here, but the price has shortened a little in the last few days. So, add Novara to score at home against a Pro Patria side who have yet to keep a clean sheet since their opening Coppa Italia tie back in August. (double) – sensible stakes only, bank builder. no third goal in Korea. lost. Morning gents,some cracking winners yesterday including Hulls Brazilian btts which landed super quick cheers to Hull for that.Some cracking looking Premier league games and here’s my tips. Best of luck all with a bet on. 2 more sleeps till league football returns! I am not writing very often on here anymore because I also write content for a Dutch betting site for over a year now. I read the forum every day though and I will try to post my thoughts on the Dutch leagues every week from now on. There have been played 8 and 9 rounds now in the 2 professional Dutch leagues, so we have a good view of the teams and how the table is shaping up. My team Den Bosch play the local derby against Oss on Friday. Den Bosch have been taken over by a new owner who already brought in a lot of new players in the beginning of the season. They are playing better every week and won the last 3 games. In the last game against Dordrecht last Friday they were missing 4 players who were on International duty. One of them was topscorer Sappinen who started up front for Estonia in the Nations League game against Finland. Other important players are Beltrame who is on loan from Juventus and midfielders Holla and Verbeek who have a lot of experience in the top tier of Dutch football. Den Bosch visit Oss who won 1 of their last 5 games. Oss only beat Jong Utrecht who are one of the worst teams in the league. 3 of these 5 games were 0-0 draws and Oss only scored 2 goals in their last 5 games, which were both against the youngsters of Utrecht. You can get 1.80 for Den Bosch not to lose this game and that is what I took in this game. 4 of the last 5 games of NAC saw over 2.5 goals and all 8 games this season saw at least 2 goals. Willem II scored in all but one game this season and saw both teams to score in their last 5 games. 5 of their 8 games this season saw over 2.5 goals If you have the chance to watch this game it is recommended, the atmosphere will be massive. Heracles are the suprise package of this Eredivisie season. After they held Ajax to a 1-1 draw on the opening day they only lost 2 games and won 5. They scored 19 goals in 8 games and 13 in their 4 home games. They play Groningen who are horrible at the moment. They only scored 4 goals in 8 games this season. Groningen sit second from bottom and only got a draw (against 10 men) and a win at fellow strugglers De Graafschap this season. Heracles won all their 4 homes games on their plastic pitch this season scoring 4-3-4-2 goals. They should have more than enough to outscore the lowest scoring team in the Eredivisie and I am suprised you can get this price on the home win. @mr-orange psv -2 looks nailed on as well surely? and fancied ajax 1.5 tgls, also 3.5 in utrecht? PSV and Ajax should win easily, only concern for me is that most of their players were on international duty and they both have CL games next week. Little value to be found in the handicaps and team goals. 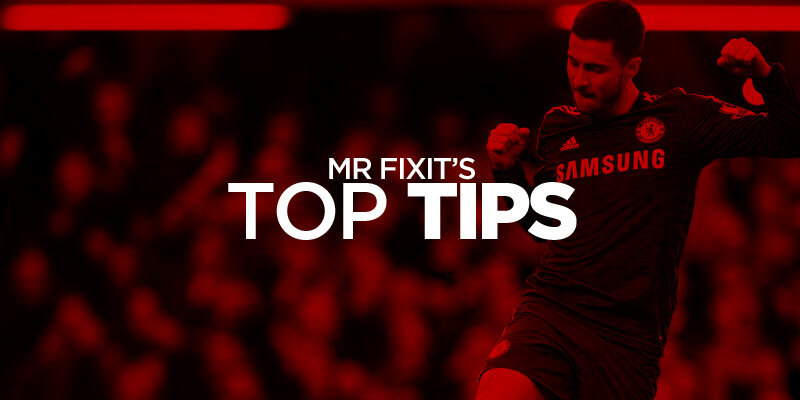 Cheers for the tips – good luck. Rather barren and unappealing card today, but have picked out three nightowl games of home teams to score 2 or more goals. Good luck to all on your bets. Missed a 92nd minute penalty. Rugby League international tonight in the form of England v France. The odds on offer show the difference in class between the sides. Although a warm up for Englands upcoming test series against New Zealand, this is an experimental side, but are more than capable of piling on the points agaisnt a weak French outfit. Good luck if you have a dabble! How clever were the bookies with the handicap half a point in it. Cheers @newts68 👍🏼 some good value out there tonight. Shocked at the lack of ball going to Mcgillvary in attack but looked heavily built towards the left hand side from the off! nite owl double LOST 1 from 2 should of taken hulls advice of caution in the cerro porento game onwards…………..
tonite, not a league i normally look at but not much around tonite to choose from but having a nibble on…………. GL all on a pish poor card……………. Totally agree. Was walking the dug past Hills earlier and saw an offer – 14-1 from 11-1 for over 1 goal in all Copa del Rey games kicking off between 7pm and 8pm. Thought I’d stick a tenner on for interest but luckily checked the odds terminal and was amazed to get 27-1. Honestly Hills have got a cheek pushing their 14-1 on screens. I use the terminal a lot – prices and markets are good and you can also cash out. However, Hills shouldn’t be pushing a special that pays half of what it does elsewhere in the shop. still main one lands…………… WD all with a winner on a rank card……………..
unlucky hull sair yin onwards though………….